Are you in the market for a 2017 Honda HR-V? Make sure to first take the all-new 2018 Subaru Crosstrek out for a spin at your Subaru Montréal dealership! 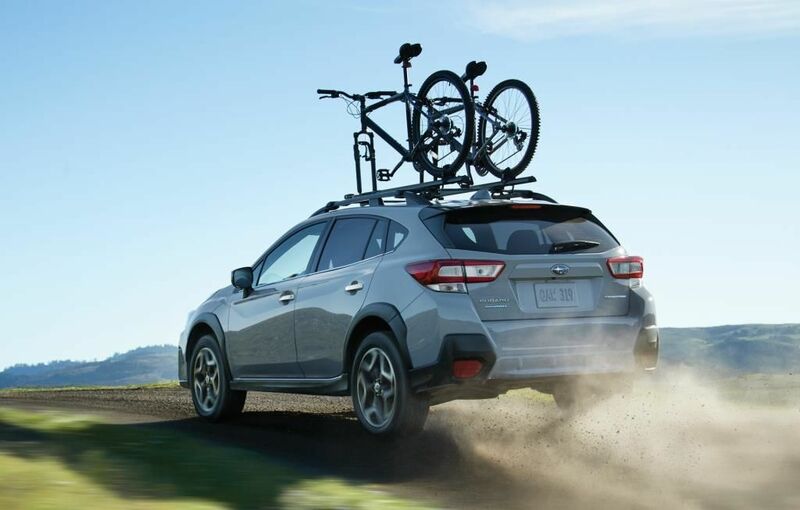 Not only can you take advantage of exceptional Subaru promotions and many Subaru financing options, but you will also enjoy an extraordinary shopping experience. Come see us today and let our consultants explain all the benefits of buying a Crosstrek rather than the competition! We are located near the West Island, Laval and the North Shore. The 2018 Crosstrek is very roomy and offers you between 588 and 1565 litres of cargo space, depending on whether or not the back seat is folded down. And you'll really appreciate the complete interior and exterior redesign! 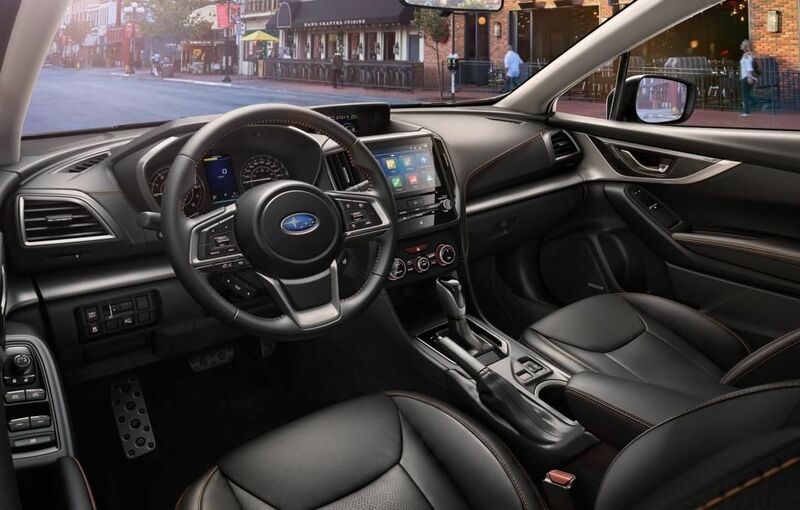 Its athletic silhouette, fog lights, automatic headlights, power sunroof, and Subaru's hexagonal grille are some of the features you might want to include. As for the passenger compartment, you can choose all-new seat options, such as a 6-way power adjust driver's seat, heated front seats and steering wheel, a 6.3-inch screen that provides you with information such as time, temperature and personal reminders, as well as a 6.5 or 8-inch touchscreen that can be equipped with a navigation system. You can also get Apple CarPlay and Google Android Auto connectivity, which you won't find in your 2017 HR-V. When it comes to performance, the Crosstrek is once more ahead of the new HR-V, thanks to its 2.0 L 4-cylinder engine that delivers 152 horsepower, compared to only 141 horsepower for its rival Honda. You can also take advantage of the well-known Subaru all-wheel drive that has been highly appreciated in the industry for decades! Furthermore, you can also tow up to 1500 lbs (680 kg) with your Crosstrek while towing isn't recommended for the HR-V. As you can see, the Subaru SUV offers you more advantages than its Honda rival! 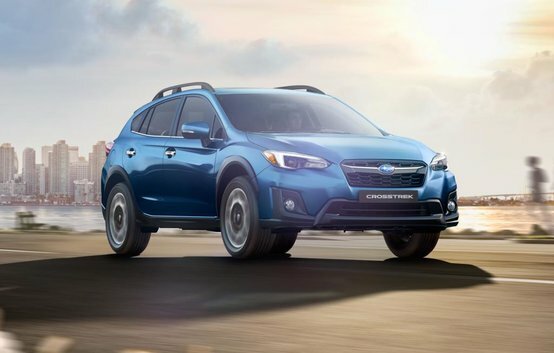 Want more information about the all-new 2018 Subaru Crosstrek or interested in taking it out for a spin? Come see us soon at Subaru Montréal near the West Island; it'll be love at first sight! Whether you're coming from Montreal, Laval or the North Shore, we look forward to seeing you today!